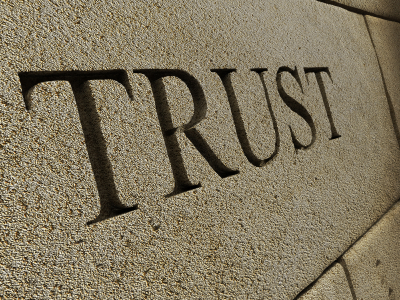 No matter how fantastic your products or services are, if you don’t build trust first, you are not going to be able to build business by engaging with potential new customers or converting them to paying customers. Therefore, building trust should come in to play with every effort. Creating the foundation starts with how you design your sales page or website. When you realize that your potential new customers are going to care less about your business and more about what your business can do for them, it makes it easy to add important information that they will be most interested in learning more about. For example, the benefits and features of your services and how easy you are to get in contact with is going to mean much more to them than if your business started in your basement. There are three main reasons most people visit a website and that is to be entertained, or be informed about how to solve a problem they have, or get involved with a community based around the topic they want to discuss. When you are able to provide that to potential customers, they are more than likely going to hand around long enough to be able to convert into a sale. Offering high quality content that will entertain and inform will serve the purpose of the first two reasons people will visit your website. This is far more important than how much technology you can add to your site. In fact, some of the most popular websites are actually austere when it comes to technology and vast when it comes to content. Then, creating ways for people to interact with each other through their favorite social media sites is a great way to add the third element of allowing them to get involved in a community that is all interested in the same topic. When your website or sales page is designed with visitors and customers and in mind, you will have a higher chance of engaging them and they will trust your website more because you will have added the important elements they are looking for. You can then proceed to carry those design elements into your social media marketing to further instill social proof and experience great results. Remember to constantly monitor the results of your efforts so you can replicate what is working best and make adjustments on any design elements or social media marketing efforts that are not working as well.